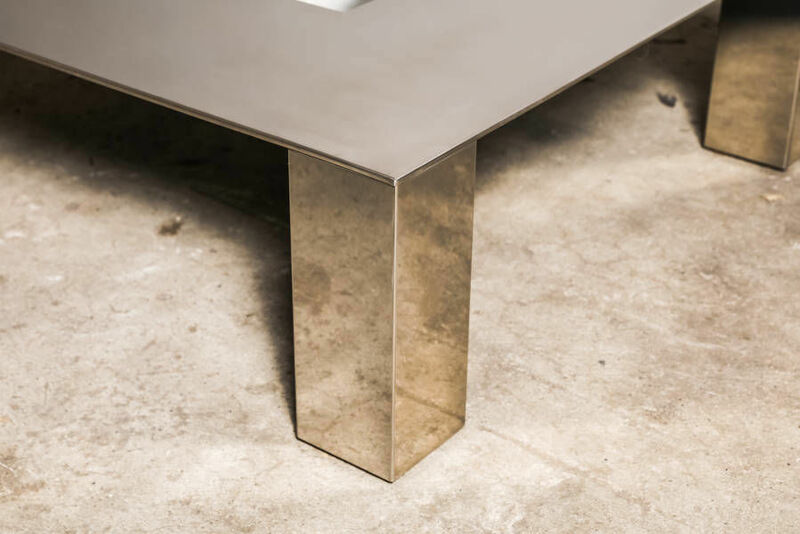 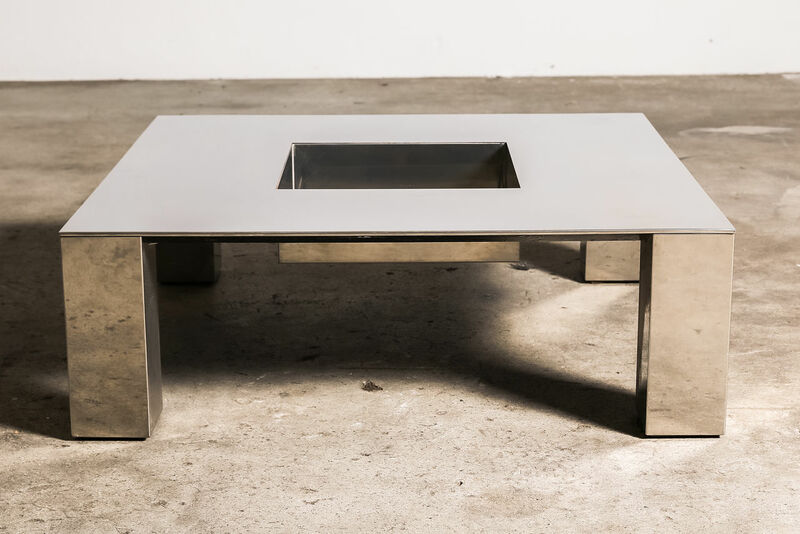 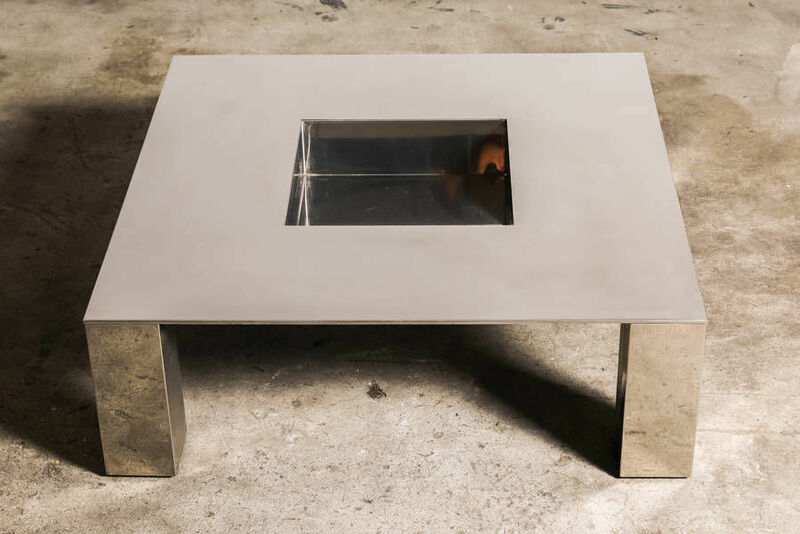 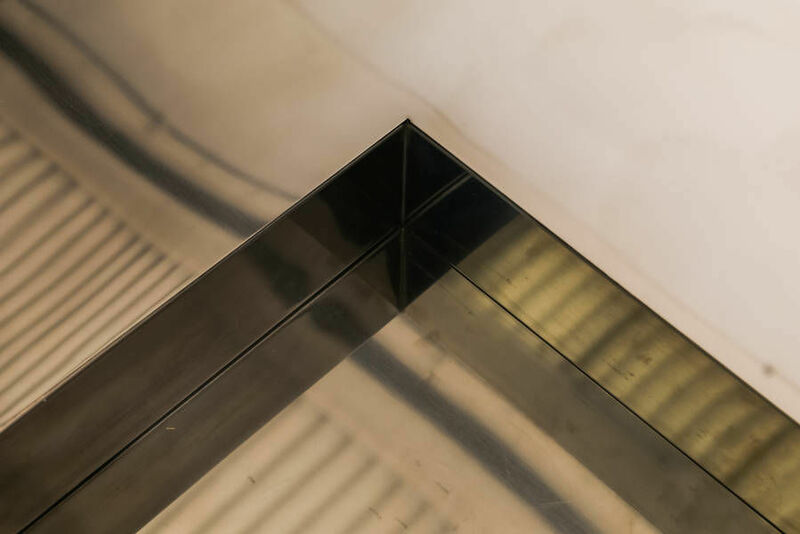 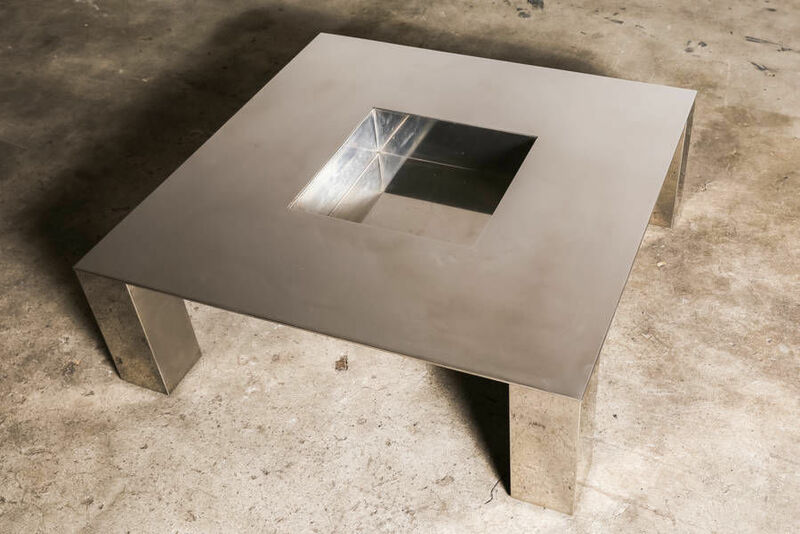 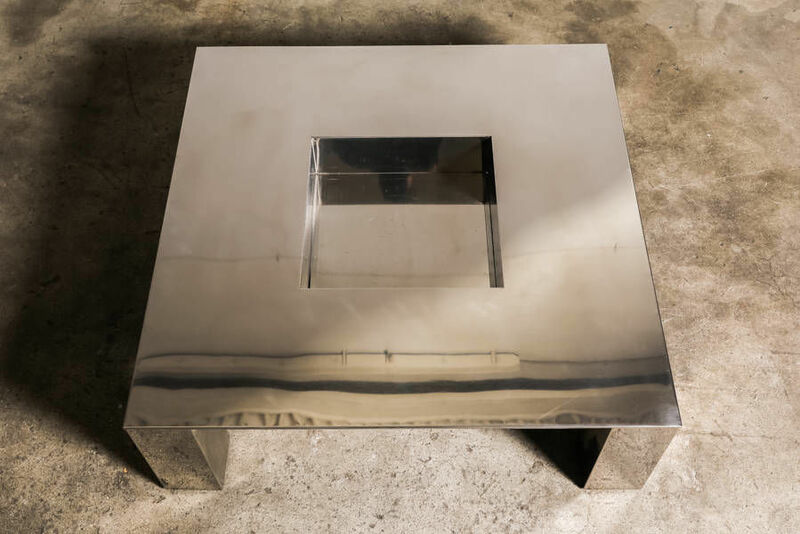 Tebe coffee table by Saporiti | Castorina & Co.
An elegant "TEBE" coffee table designed by Giovanni Offredi for Saporiti. 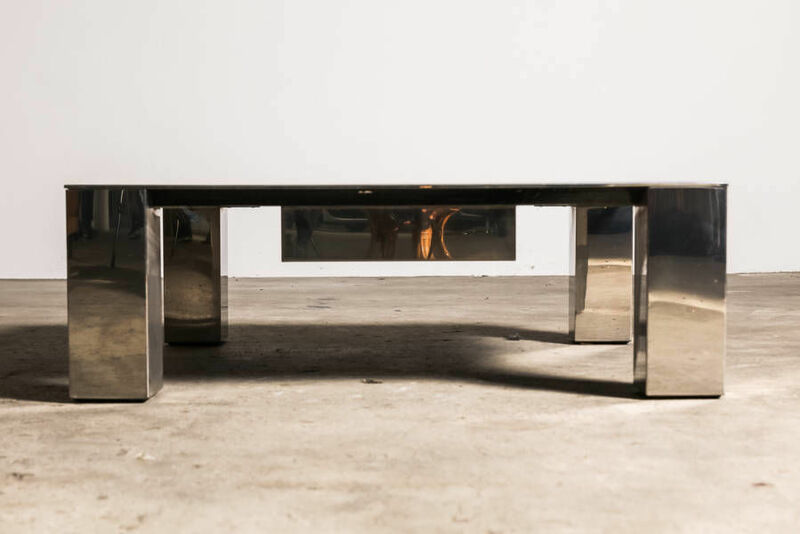 Made from polished steel with central recessed compartment which can be used as a dry bar or for plants. Circa 1970, Italy.